Our menu is based around great ingredients all tied together by the chef’s in our kitchen. We have some favourites which are rooted in the foundations of the pub like the Cliffe Bank farm beef burger, fish and chips and our very own Hereford steaks. Otherwise we try to change things about as often as we can and we aim to have dishes on the menu for 4-6 weeks maximum. We have a vibrant specials board which changes with the chefs particular fancy as they bounce ideas around for the day. On Sundays our menu makes space for the good old fashioned roast dinner. Our own choice cuts of Hereford beef are chosen and skilfully prepared by our chefs then roasted to perfection. Be it Topside, Silverside, Rump or slow-braised Brisket, you can guarantee a lovingly cared for joint of meat will be available all day long (Home cooking at it's very best, minus the washing up). Alongside our own beef we'll always have a pork option, maybe lamb too but you'll have to call in to find out for sure. Our song and supper room is just a little bit special and just a little bit different. Upstairs, nestled over the main pub lies a large twin room, one side adorned with a long oak table, candles, silverware and a goodly waft of pomp and circumstance. The other half of the room provides a comfortable retreat, with comfy seats, cosy fireplace and lashings of mingle room. The ethos of the room is that it is yours for the whole evening, and we'll help to plan the whole affair around you. Be that with menu selections, wine preferences or special treats. 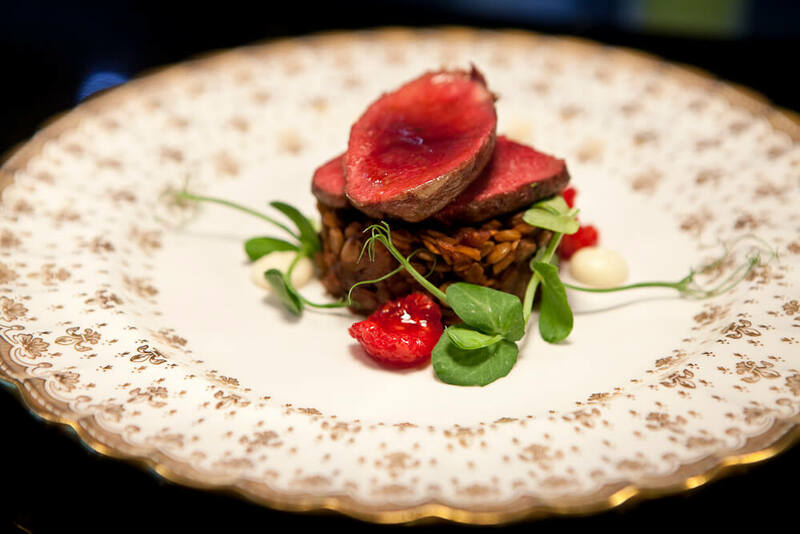 As with our whole menu, the selections vary depending on suppliers, seasons and chefs but we have provided two sample menus so you can see how the room is used. But we wanted to do better, so our bar snack list is just a little more varied and we like to change things around a bit every now and again. We like a small menu, it means we can focus on doing everything well. We cook everything to order (No frozen ready meals here) and we have a team of chefs who are happy to help with any particular needs you may have. Be it smaller portion, vegan special, something to suit your little one or an agitating distaste for anchovies (Or even a smaller, vegan option for your little anchovy) then all you have to do is ask. If we have it in stock, we’ll give it go. That said if you’re booking a table, let us know and we’ll make sure there’s something appropriate for you. The very best ingredients, prepared by experts. As lovers of all British produce, we are proud of our Hereford Herd who roam and graze freely over 90 acres of beautiful mixed pasture. Our cuts are prepared and dry-aged by renowned master butcher Callum Edge. We buy the best whole pigs and lambs from farmers near-by, preparing the meat ourselves to deliver nose-to-tail eating through an ever changing menu of incredible dishes. The same attention to detail goes into all of the ingredients and produce we source. Working with the RBST (Rare Breed Survival Trust), we are able to safeguard quality Hereford bloodlines for future generations. On our farm we partner environmentally friendly farming and grazing in conservation meadows, with devoted time and care, which delivers our exceptional Carden Historic Beef.